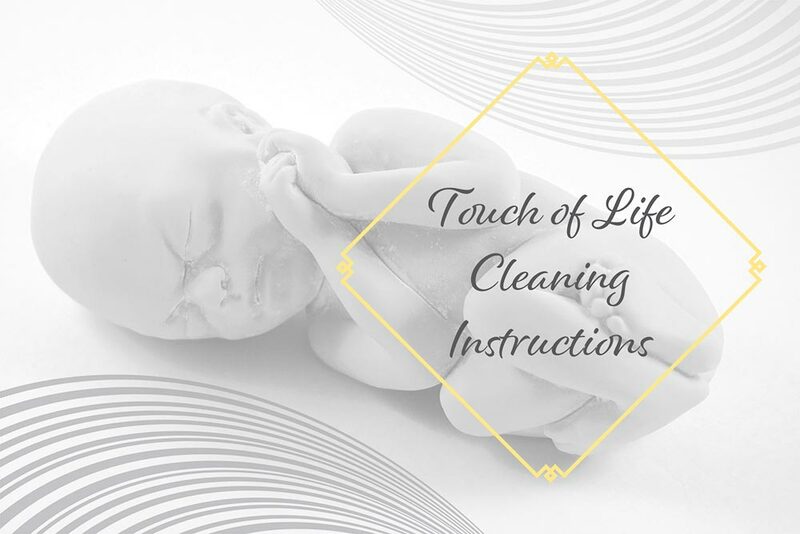 Description: Contains the recommended methods of cleaning the rubber used for Touch of Life Fetal Models. AMAZING! I received these as a gift because I am an avid pro-lifer, and have used them for displays at my church and at our county fair. 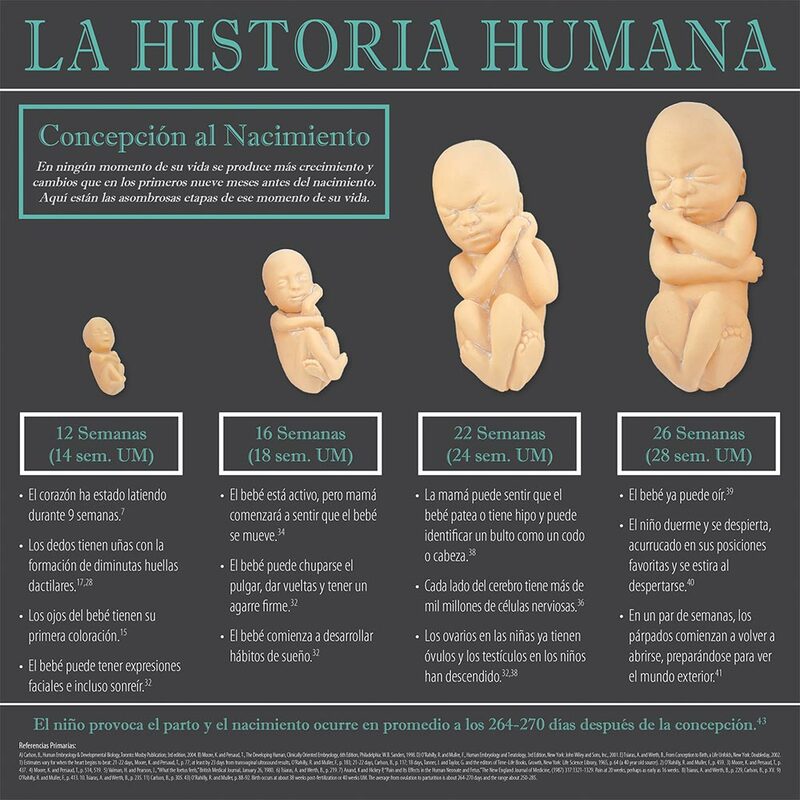 People were amazed to see just how developed the unborn are, especially when holding one and telling them that in our state it is legal to abort at that stage. These models make an excellent display for any sort of pro-life event because nothing can show a person the development of the unborn quite like being able to hold a model of them! These models are a very worthy investment! When I set these in my booth, so many people are drawn to them. Once, a teenage guy came up and kept staring at the 28 week model. He eventually picked it up and shared how he was born at 28 weeks. He kept holding the baby up to his ear and saying, "I feel like it should be breathing!" I gave him one of the 11-14 week models and he ran off saying he had to show his friend! That is just one story of many that these very lifelike models elicit. They are very well-made. Just a tip, when we've accidentally gotten a couple pen/pencil marks on them, they came out with a mild soap and water. Just make sure to re-powder them afterwards or they'll be sticky! I would give this 100 stars if I could. The first time I used the set was at a Respect Life booth at the Indiana State Fair. I did not get much interest until I put the babies out on a chair at the front of the booth. Especially adolescent and teenage girls were immediately drawn to them. They would ask permission to hold them as if understanding how fragile they are, and cradle them and marvel at them. I bought a set for myself and have since used it for other events. This set is by far the best money I have ever spent. These fetal models evoke a strong response from our clients. You can see their hearts melting as they see and hold these babies. At information tables, people tend to be drawn from a distance to come over and see what we are displaying. I love having the opportunity to talk to children about the fact that they were once this small and that babies need to be protected when they are still in their mommy's womb. These babies are so powerful. We had them during a campaign at our church. We were focusing on the 22 week baby and it made all the difference for people to see a baby. When they held the baby they were convinced to vote pro-life. All the babies are beautiful and so life like, I felt like they needed blankets. Our parish Respect Life Committee has purchased this set for our own use at gatherings in the parish and at street fairs. 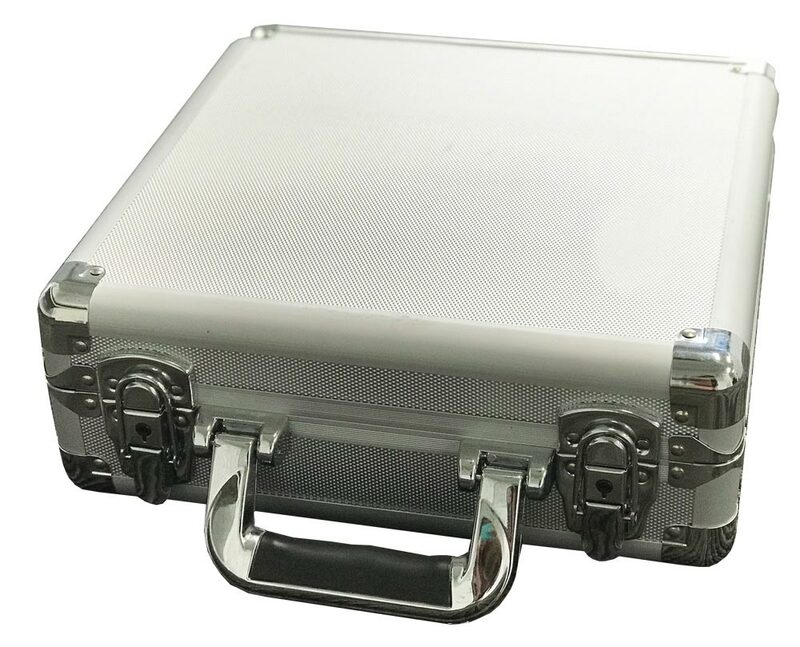 We have also donated a set to each of the Catholic High Schools in our diocese to be used in the theology and science departments or however the faculty can use them. They draw attention and give a wonderful way to demonstrate the truth of life in the womb. Thank you for making them available. Our prolife group bought this model and it was especially moving to see the children touch the infant model. It is a very effective tool to educate with as well as scientifically sound. These are great to help stress the importance of life, with all ages. We have used them at our center as well as when we go to expos and speaking engagements. These work great at mission conferences or any event to support pro-life. The babies are cute, real looking and just a real attention getter when you want to get to talk to others and have them see all you have to offer. We use these at our pregnancy help center, and they are an invaluable tool that accurately shows the development of the baby in gestation. They are life-like and precious, creating a "visual" of what is going on inside the womb. They also clean easily after being handled. We love using the Touch of Life baby models in classrooms, churches and events. They are a great way to show the development of the baby in the womb. We always get comments that people do not realize how well the baby is developed at that age! These models are so beautiful. People love holding them. Little children want to take them home. What a blessing this tool is to reach people to understand the humanity of the small unborn person! THank you! These are fabulous! I use these at mission conferences and when I do any kind of tabling event. The TRUTH of LIFE cannot be denied. I love when the children come to see them. I let them touch and hold them and encourage their parents to explain to them what they are holding! These are great. I've used the other set with the smaller models, too. Students really take care when they handle them as if they were real. It's touching to see how they connect with these models on a truly human level. Love having these at our information tables that we set up. Everyone loves to pick them up and hold them. It is a great way to start a conversation about the sanctity of life. I manned the Respect Life tent at the Indiana State Fair last Summer. I put this set out on a chair in front of the tent so that people could see them as they were passing. Many people, especially adolescent girls, were very taken with these models. They were amazed that these were the size, shape and weight of an actual baby in the womb. This is one of the best pro-life tools I have ever used. We set these on display when our Gospel of Life committee serves coffee and doughnuts. The children have no hesitation about picking them up and examining them. This gives us opportunity to converse with them. Also, when the parents put them back, they too feel the life-like baby. These fetal models are an outstanding pro-life tool. OMG! These are AMAZING!!!! They are incredible to hold, touch and feel. These little babies are SO life-like. People just can't help but pick them up and examine them and ask about how old (how many weeks) the model is. These are a MUST HAVE for educational events! 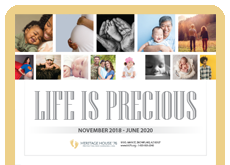 Our Respect Life Ministry has purchased a number of these. We then gave them to the day school and PSR. When we display them at our functions, people love to touch and feel them...it really hits home. A must have for every Catholic/Christian school. This is the age where the most impact can be made for saving human lives(babies). This stage is where kids intrinsically know right from wrong. I use it extensively for talks I give to people on the development of a baby. It amazes kids. They especially like to take the biggest model and put it against their tummy to see how it fits as if they were pregnant. It gives boys an appreciation for the what women do. This they can touch. A real baby is a bit more daunting for most people. I highly recommend it. I pass these models around in the high school classrooms in which I teach Abstinence Education programs. Students are amazed at the life-likeness of the babies, the progression of development, the real-life weight and feel of these little ones. And they know without a doubt that abortion takes the life of a real and precious and beautiful child. These are one of my most valuable tools to portray Life in the Womb in schools and in our counseling rooms. These models are excellent in showing at our Pro-Life tables at Church and whenever we go representing Cities4Life of Cal, at events and fairs. I love how little ones immediately know it is a baby as little as a 10wk model. They are very life-like. Our parish Respect Life Ministry will be borrowing this fetal model set from a sister organization for the parish Ministry Fair in November. It is one of the most effective tools for getting out the pro-life message. Thanks for all your help supporting pro-life organizations! Love these! We use them to show clients the approximate size of their baby after we do an ultrasound. We use them for EWYL classes and when we do tours of the center with donors. We get them to actually pick the models up so they can touch and feel the weight of them. This is a great purchase! We have used these models at our Baby Photo Contest for several years. They are very durable and the public loves them. We also purchased a set for each of the middle-school and high-schools in our county. We set these on our display table at fair time and they are a major attraction. Pregnant women stop by to see how big their baby is now and young people look to pick them up and hold the models. The only drawback I see is the models are hard to clean once they get dirty from all the touching. We are so excited to finally buy the fetal models main set for the pro-life ministry at our church. In the past, we would borrow these whenever we would have a pro-life event. People are very affected when they see these fetal models. They look and feel like a real baby. 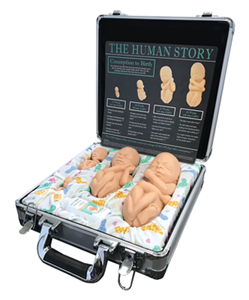 We have been displaying the Touch of Life fetal models at our county fair booth for over a decade. Alongside, we run the National Geographic DVD, and place a basket of the 10-12 week models for patrons to take home. To see the baby's development on the screen while holding a life-sized model at the same time, is very powerful. Every pro-life table should have these three tools! We recently set up a booth for the Sanctity of Life in a very large convention center where there were many other exhibits and so many people coming thru. BUT almost without exception it was our little babies that got their attention. They are a terrific ice breaker. Very happy with our purchase. Our counselors and clients LOVE them! We have two sets - a brown (closer to African American) and white. We put half of each set in each box - one in Pregnancy Test room and one in counseling room. That way - all races can "relate". This is an amazing tool for every one interested in life, health or education. I am a professor of Gynecology and just love these babies not just for explain to my students, but fotrpregnancy patients and adolescents. These lifelike models are amazing. I have watched clients hearts soften as they hold these fetal models in their hands. The look, the feel, is very lifelike and helpful in explaining what that baby looks like in the womb. I have worked our county fair for several years at the Right to Life booth. They have a set of this wonderful model of the baby in four stages of development. It is wonderful to watch the children marvel at how small they once were and that they really were a baby from conception. I am now purchasing these for our pro-life ministry so our speakers can show them to teens at our events. I know they will have a powerful effect on them. This is one of our favorite fetal model sets! We take it to display at fairs, information booths, schools, etc. Even the children love to pick them up and hold them. It's the best model set out there and a MUST for any educational group. This set is perfect for the classroom! The various developmental stages are shown and info given. The kids are able to smell the baby powder and touch the babies! I take this set EVERYWHERE - when I speak at churches, civic groups, at our fair booth! These babies are the best conversation starters about the truth of fetal development. These babies are very helpful while talking to mothers. Children are very interested in them as well. They are easy to clean. I appreciate the fact they weigh the same as a baby that age does! Want to discuss the beauty and miracle of life? Then I suggest you get the Touch of Life Fetal Model Set. 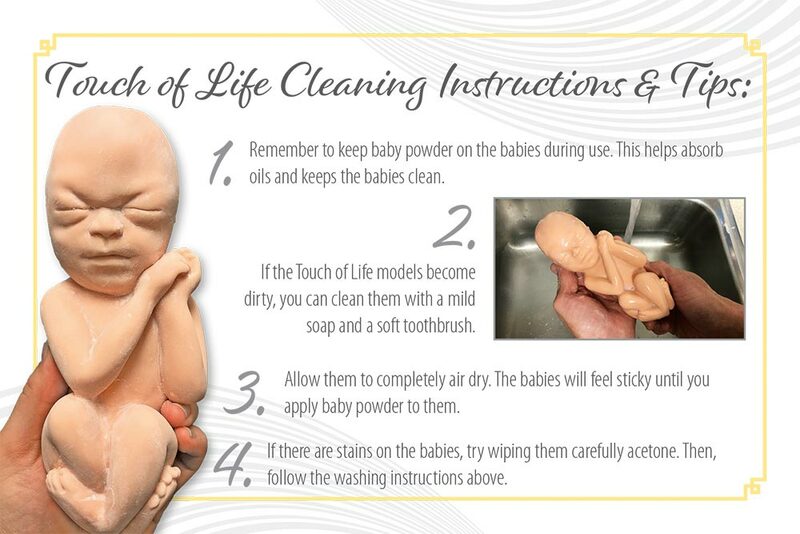 I have used these countless times to help mothers in the making to choose life for their babies. I also display these during all my pro-life exhibits. Visuals are important but being able to touch and hold a fetal model is powerful. I have had mine for years and they hold up great as long as you follow the handling instructions. These models are simply amazing. A midwife friend keeps them in her office to share with clients. The weight and "warm" feel really helps you understand the reality of that baby, and the details are wonderfully accurate. We take this out with us whenever we do a health fair in our communicty, outreach education table at a local college campus or at a church. This display draws people in and opens the door to not only a discussion on fetal development but on creation and our heavenly maker causing an opportunity to share the Gospel! We had one of these at our Counseling Center in Brazil. It was a great blessing to have the abortion minded clients hold them. It became a great tool for us. Unfortunately it was stolen and I'm going to buy a new one. This set says it all. We have this at Ann's New Life in Pell City. I can honestly say that everyone that comes through stops to check out these babies. Pregnant mothers stop to see where there own babies are in their own fetal development. I think that by far this is the best product you sell. This main set is a wonderful resource tool. In addition to using them with clients at our PRC, we also used them on display at area health fairs. Everyone loves to touch and hold them. Our family bought a set to loan to students for presentations, for youth groups, or any place they will be viewed. I let my children and their friends hold them, and my oldest has taken them to show her college friends. We use the Touch of Life Fetal Models in all of our parenting classes. These first-time moms and dads handle these soft life-like models with such tender care it is awesome to watch the gentleness that comes over them during this time. I highly recommend this set to all PRC's. These are precious. I powdered them up and put them in a basket with a white knit baby blanket at our table. Everyone that walks by at the expo has to come and look and they can't resist touching them and ask to pick them up. It is a great conversation starter and a good way to get literature in the hands of teens at any event. They love to hold the babies and are in awe. These are a must at any display! These are used at the pregnancy center where I volunteer. Seeing and touching these models makes a huge impact on the clients that are in crisis. It makes them realize that what's growing in them at different stages is really a baby. 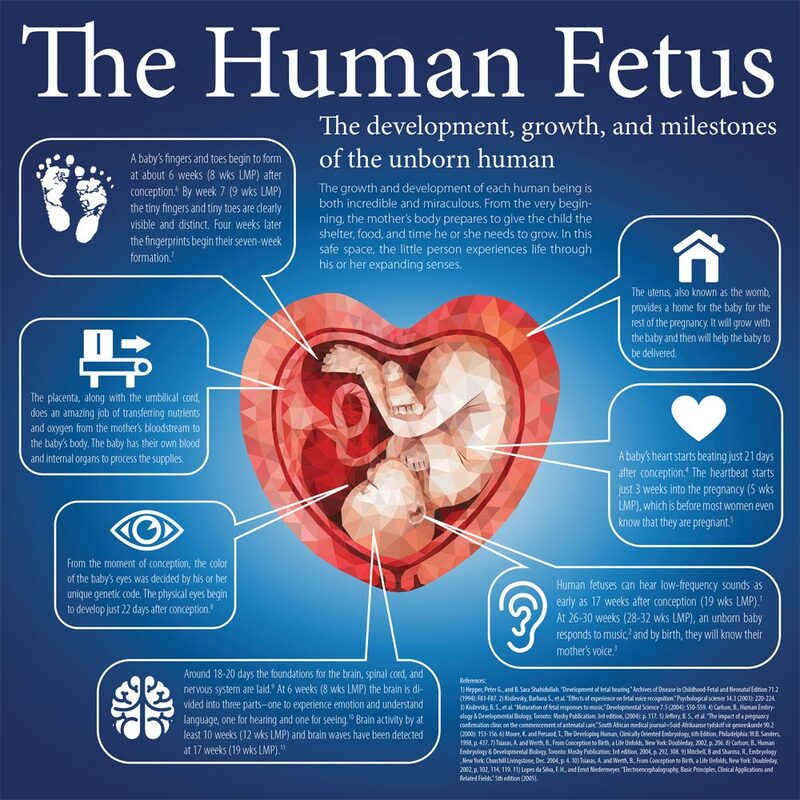 We use these models at our Walk for Life and in classroom discussions of fetal development. The students line up to see, touch and hold the models and are eager to learn more about how a baby developes in the womb. The fetal models are so real-like. They are a big hit whenever they are shown. They have being GREAT! Really helpful to take to conferences across Guatemala. The kids, the young people, the older people, just love them. One guy even taken a picture to take to his wife that was pregnant about the same age as the 30 week model. These models are all so amazing. We used these at the CPC and it would really affect the clients to see the life like size and feel of these. I hope to get a set for myself soon. I have used these at the sidewalk in front of Planned Parenthood. These are very educational in informing women about fetal development. Women are surprised to see how far along their baby is by looking at these realistic models. Our pregnancy center uses this set as our "traveling set" for when we visit churches, schools, etc. They are very nice and handy to have! My only complaint is I would be happier with them if they were packaged in a sturdier box that could stand up better to being hauled around. The cardboard wears down over time and the babies have been known to disappear! No complaints otherwise, very great product! I can't tell you how many times a mother-to-be has been in awe of our models. They are so excited to see what size their baby is at that point in the pregnancy. The only problem we seem to have is keeping them clean. Baby powder doesn't seem to work so good. Our Pregnancy Center used these babies a lot when we gave talks or just set up a display where people could come and ask questions. The display is very powerful when people of all ages can see for themselves what a baby looks like at the different stages. Seeing it for yourself makes many start thinking that a fetus really is a "BABY". These modals are Very Helpful! I teach post abortion Bible studies and counsel post abortion men and women and these fetal models have brought much healing and enlightenment to those I minister to. God uses them in many ways. It opens up the eyes of those who thought a fetus was just a mass of tissue. I love to watch people's faces as they pick them up and view them for the first time. Depending on each circumstance it affects each one differently. I passed these around a classroom and kids loved them. The teens would put them up to their stomachs and comment, "this is what my mom did, WOW". It was great. These models are such a powerful and fun tool to share with clients. They are always amazed by them. Some clients will even bring in thier other children to see how big the baby is getting. we have such fun with these models. As are dedicated Prep 4 Life clients grow larger they are amazed to see how their baby is develops. The guys love them also. Being tactile learners they begin to really experience their baby. This was the first year we used the TOL babies at our county fair. Oh my, the stories they initiated. The children loved to hold them and the parents were amazed that abortion is legal for all of the sizes. Pregnant moms took pictures of their babies with these on the outside. It was the most educational and emotional county fair I have ever been involved with. As a childbirth educator and birth doula (professional labor coach) these are the perfect accessory to my vendor tables and classes! I love that couples can have something tangible to see and feel when considering their baby's growth. I also love that these are soft and have a "life-like" feel. Perfect addition to my first trimester set! We love these babies! So helpful for show and tell, touch and visual learning. They've done so much to aid us in informing our clients on the development of babies. The only drawback is how expensive they are. These models are so amazing to show people real-life size and development of the unborn baby! I love that we can let people hold them! I have seen these at the pro-life booths at fairs for years. I am so excited to have them at our booth next summer! This set is an awesome addition to our display table at church events, so then we made a permanent display with the largest model, so its seen year round. Children love to hold the little babies and are in awe when we tell them they were once that size. Worthwhile investment. Definitely a Great Buy! We use it everywhere we have our "Information Table" setup. It draws people to the table quickly and people are amazed as to how developed Human Beings are at different stages. Many give us stories of their own babies while thanking God that they Choose Life. Others get amazed while we pass it around in presentations and even carry it as they were real Babies. A church helped us be able to purchase our first set of the tough of life fetal models. We have them on display in every youth, children and adult presentation. The children love to hold them, and youth are often amazed at the detaiils of development, nothing like what they see in their school books. Help a pro-life ministry by raising the funds for them to be able to have one of these sets. We eventually had display cases made because the box wore out, but the babies last. We had this set at the County Fair this summer and the largest size baby was a fascination to young girls who passed our booth. One young lady kept cradling it in her arms and wanted to know how she could get one to keep. I think these really personalize the unborn in a "hands-on" way. These models have been at center stage of our efforts to restore repect for life. We use them as we educate with youth groups, schools, adults and children. I carry them in my car and pray for opportunity to share how God knitted us together in our mother's womb. We have lines for at fall festivals to see and hold our 'babies'. We buy all 3 skin colors and mix them. We have donated boxes to our local high school and middle school biology and health classes. We have used these for many years in our CPC office and at fairs. They definitely draw people in. We have an older set and we do find them difficult to clean. We used these at a maternity home where I used to work when we were teaching pre-natal classes. It was amazing to watch a young woman's reaction as she held in her hands this tiny lifelike model of what her beautiful baby looked and felt like. I was blessed to witness even more hardened and distant women soften their expression as they looked on these replicas of their unborn child. This set is the most powerful tool that can be used for instruction of the truth of life in the womb! Moms come in and feel the weight of of each "baby". We have had so many teens as well look at them and one girl I saw cry. Although a bit pricy, they are SO worth the cost if it will help even ONE change her mind to keep her baby! These models are life changing!!! Could not hold back the tears as I held them for the first time. Excellent to show expecting mothers considering abortion or a group raising funds to prevent abortion. We LOVE these babies. We bought them to display at our local fair and churches. It is a BIG hit with the children and adults as they pick them up, feeling their weight & their skin that feels real. They are amazed! It is the most popular thing at our fair booth each yr.! I beleive it saves lives! Thanks! Our PRC has used there models for several years now and could not be happier with them! They look brand new and have been to numerous expos events and are a great tool for us to use as well. We are so happy that we made this investment to share life at all stages!!! A great tool for every pregnancy resource center and Church to have!! Everyone needs to realize the life of a baby at every stage. HUGE attention grabber! Display these at your booth, in schools or use as an educational tool. They are so life-like and even weigh close to what they would in the womb! Everyone of all ages go nuts over them! We ordered these to use at a local crisis pregnancy center. Along with the first trimester Touch of Life fetal models, these had a huge impact on women coming into our clinic. To be able to hold and feel the babies helped girls appreciate the size of their babies and see their child as a life. I would recommend these for all CPC's and anyone involved in reproductive education.